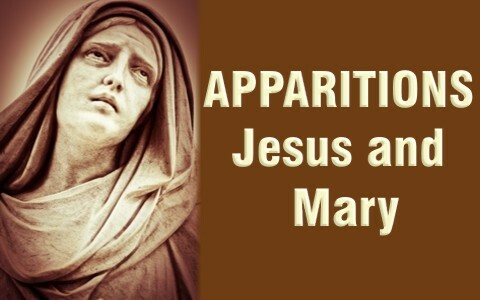 There are reports of apparitions of Jesus bleeding, and Mary weeping, but are these real and if so, are they from God? There are so many reports about apparitions of Mary that we can’t possibly cover them all here, but first of all, apparitions are the appearance of something remarkable or unexpected, or even described as miraculous. Apparitions or appearances of Mary have been reported all around the world, however documentation or images of these apparitions are exceedingly rare, and in many cases, these are put on by charlatans and are clearly not authentic. Apparitions of several paranormal related manifestations are reported in the world too, but believers know that these “familiar spirits” are nothing more than demons who are familiar with a person the either knew or possessed. The Catholic Church restricts their definition of apparitions as “a heavenly being—Christ, Mary, another saint, or an angel— makes himself known to human senses.”  The church believes that these apparitions only come to “exceptionally holy people,” people who “aren’t spiritually gifted enough to understand,” and can be seen as “an outreach by God” , but is that true? Does God use apparitions of Mary, Jesus, or any other angel as a way to communicate truth to us? What does the Bible say about that? I have yet to hear a new or Biblically sound truth coming from a purported apparition that directly matches Scripture. Instead, I’ve read about things which are so general or generic that it’s impossible to tell if it came from God or not. Fortune cookies and horoscopes do about the same thing in their generalness. Besides, God has already spoken to us in His Word, so instead of seeking apparitions from God for truth, why not read the Word of God for truth, and its’ there 24/7. How sad when people flock to some alleged apparitions but won’t open the Word of God. They seek new truth from apparitions but don’t read about the ancient truths of God in the Bible. I don’t trust much of anything outside of Scripture because it is here that God speaks most loudly and clearly. There is no ambiguity when it says we must repent and believe. It’s not up for interpretation. We know what the Word says, but any so-called teaching from apparitions is purely speculation and subjective, which means it’s subject to error. The Bible says that Satan has his own ministers, and they can appear as someone who is exceedingly holy. They might seem bigger than life, have tremendous charisma, and be an eloquent speaker, but that’s not the typical minister in the Bible. God calls men who are humble and are insistent on giving God all the glory. They don’t flaunt it in front of others or act as if they have some special powers. Most pastors I know try to avoid the limelight and are quick to give God glory and others credit. None of us could have achieved all we have achieved without the help of others, and most certainly without God’s help (1st Cor 4:7), and we should willingly acknowledge those facts. Jesus tells us we can’t do anything without Him (John 15:5) and anything we can do we can only do it through Christ (Phil 4:13). A minister of God will preach the whole Word and the whole counsel of God, normally through verse by verse preaching, but when sermons begin to include supernatural works or miracles, over Bible-centered, Christo-centric teaching, it’s not all about Christ; it’s all about them. So too do these apparitions when they are reported. They almost take on life of their own, even receiving the blessings of the Catholic Church. Knowing that “Satan disguises himself as an angel of light” (2nd Cor 11:14) should make us check everything against the Bible, including apparitions, if indeed they are authentic. Even if they are authentic, the source is not God, but of Satan. God does not communicate to His people through things…but through His Word. Even outside of Christianity, there have been thousands and thousands of apparitions in history. Many are convinced that they’ve seen the spirits or ghosts of their deceased loved ones or even strangers, but if they only knew what the Bible says about these “familiar spirits,” they might not want to see them again. These are not Casper the Friendly Ghost. These are demons out of the pit of hell, so what appears to be the “ghost” of someone is actually a demon that was familiar with the deceased person. That person might have been under demonic influence, dabbled in the occult, or even have been demon possessed, so that demon (or others?) were familiar enough with that person that they might actually resemble the dead person and seem recognizable to those who are trying to communicate with them, thus the name, “familiar spirits” (Lev 19:31), and clearly, these were not part of the Mosaic Law, but a instead, were a civil law. That may be why God’s Word commands us to have nothing to do with them. Those who try and call up the dead from the grave through various means are doing things that are an abomination to God, plus they’re playing with hellfire. That’s why there are laws against trying to communicate with the death, to protect them from their own mistake, but we must remember that it’s not the dead person they see, but a demon from hell. Why do we become so infatuated by apparitions? Because its tabloid stuff and it makes great copy, however it does nothing for the Christian. If anything, it distracts us from Christ and the Word. To focus on an apparition and even bring offerings to it (wherever it might be) is to worship an idol, and God is a jealous God and will not tolerate idolatry. That explains why King Hezekiah destroyed the bronze serpent used in the wilderness with ancient Israel. They began to idolize it, then worship it, and then burn incense to it (2nd Kings 18:4). That’s the danger of putting our attention on apparitions; plus it takes our eyes off of Christ.